The AHI PPS (Performing Provider System) is a partnership of more than 120 organizations formed to plan for and manage Delivery System Reform Incentive Payment (DSRIP) Program health care restructuring in the northern New York/Adirondack region. Partners include hospitals, primary care providers, mental health and substance abuse treatment providers, skilled nursing facilities, home and community providers, and others. The DSRIP project addresses social factors that impact health, requiring engagement and collaboration with many stakeholders, including community-based organizations, from diverse sectors. DSRIP’s purpose is to fundamentally restructure the health care delivery system by reinvesting in the Medicaid program. The program’s primary goal is to stabilize the safety net system and reduce avoidable hospital use by 25 percent over five years and meet the needs of Medicaid beneficiaries and low-income, uninsured individuals in local communities by aligning with the Triple Aim of improving access to care, improving quality of care, and reducing costs. New York’s Performing Provider Systems (PPS) were formed to lead regional partnerships. Our PPS spans nearly 11,000 square miles and nine counties: all of Clinton, Essex, Franklin, Hamilton, Warren, and Washington counties, and portions of Fulton, Saratoga and St. Lawrence counties. While a Medicaid program that impacts 143,000 attributed lives, the region’s 700,000 residents benefit from the increased support of population health. More than 120 regional partners are part of the AHI PPS. AHI PPS Partners – updated 5.15.18. The AHI PPS (Performing Provider System) received a valuation award from the New York State Department of Health in the spring of 2015 for $186,715,496 to be distributed over a five-year period. The award is not a grant – it is performance-based, meaning the award amount is the maximum number we can receive for distribution based on our partner’s ability to meet each project milestone and quality improvement goal. The valuation award is based on 143,640 attributed patients in our region. The AHI PPS is one of 25 awardees statewide. DOH flows funds to the PPS lead entity. The AHI PPS has the responsibility to manage the award for partners in our nine upstate New York/Adirondack counties – Clinton, Essex, Franklin, Fulton, Saratoga, St. Lawrence, Warren, and Washington. Any determination on distributions is made by the PPS Governance Committee. The AHI PPS has the responsibility of ensuring that DSRIP dollars benefit Medicaid beneficiaries and support the success of the health care delivery system under health care reform. 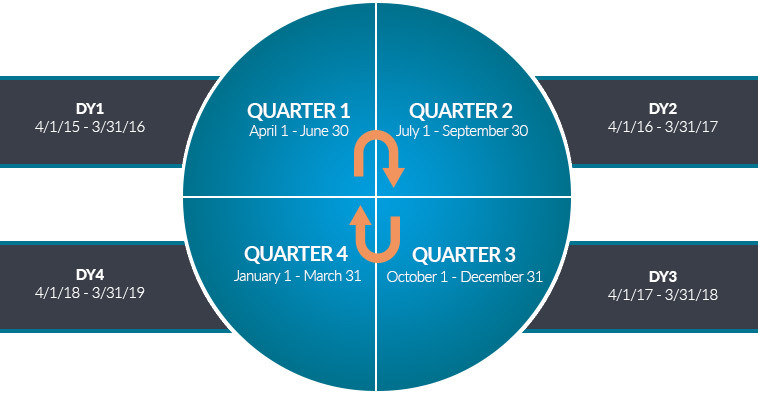 The DSRIP implementation plan encompasses a five-year timeline. Visit the New York State Department of Health website for more information on DSRIP timelines.